Last month, my mom, son and I had a chance to watch Rodgers and Hammerstein's The King and I at Resorts World Manila. I used to watch a lot of plays back in the days and even starred in a few productions when I was in college, performed in other schools and out of towns. That's why I got really excited when we got free tickets for The King And I at the Newport Performing Arts Theater at the Resorts World Manila. Theater is a very respectable performing art because a lot of creativity, discipline, energy and synergies are put in to make one great production. The King And I is made up of all those elements. The musical was directed by a three time Aliw Awardee, Freddie Santos, who has been in the Live Performance industry for 35 years. He managed to make use of the very spacious Newport Performing Arts Theater stage and keep the audience focused on the three-hour long show. All the musical performances and throwing of lines of the actors were fluid. Every scene change were smoothly executed. Meanwhile, the set design was done excellently by Jo Tecson. Tecson, well-known in the concert staging, used giant backdrops and props that represented the grandeur that is of Siam. I was particularly amazed by the huge (Spell: Stage-Wide) LED screen which was intelligently used for scenery which added depth to the entire stage design. The white elephant is to watch for! It's so authentic! The carvings and palace set designs truly showed the richness of the East. Great work on that. Musical numbers were backed by the Manila Philharmonic Orchestra and dance performance from the Philippine Ballet Theater. The intricate and well-laid costumes of King Mongkut and Anna Leonowens were masterly crafted by Rajo Laurel. The actors were all splendid. Each character stood out but didn't outdo each other. Every role, big or small, were performed excellently. King Mongkut, played by award-winning TV and stage actor Nonie Buencamino, was clearly depicted as one with authority but a great father to his children. Nonie was able to show the greatness of being a king who has a hard time letting go of traditions and admitting his weaknesses, but at the same time slowly adapts to influences and fresh knowledge that the Briish schoolteacher, Anna Leonowens brings to Siam. I enjoyed very much each time he threw "Etcetera, etcetera, etcetera..." in his lines every now and then. My son laughed at it so I guess he's getting the humor. 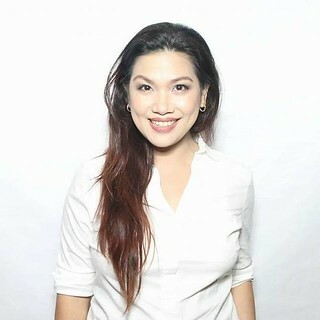 Anna Leonowens was played by a theater veteran and award-winning Menchu Lauchengco-Yulo. She portrayed a strong, to the point of being stubborn, Caucasian woman who rightfully knows what she wants and how to get it. Lauchengco-Yulo was able to show all facets of her character, a political ally, an educator, and that of a loving mother. What struck me was how she effectively brought out being willful, her grace, modern influence, and being motherly all in one character. The musical will be incomplete without the children! They were all adorable, talented and consistent with their characters. Prince Chulalongkorn and Louis Leonowens were very effective in the portrayal of their roles. They affected by son to the point that he wants to try theater too. All the other children on stage looked they were having fun, singing, dancing and acting. Their parents must be very proud. Romance on the other hand was highlighted by Tuptim and Lun Tha, the Burmese lovers. Both actors showed their musical powers singing their very moving duets, "We Kissed In The Shadow" and "I Have Dreamed." Lady Thiang, the first wife of King Mongkut, showed a smart and well-composed woman who bridges people to the king. The King And I is a musical for the whole family to love. What I'm happy about was the fact that my nine-year old son understood the play and didn't snore away. My son, glad to watch the musical. He appreciated every aspect of the musical. He was fascinated by the set. My son was particularly affected by the children's performance that he wanted to learn how to act. He laughed at some comedic lines thrown by the king. But most importantly, he and I'm sure any children who watched it, picked up good values that the musical imparts to its audience. As a mom, I recommend you to watch The King And I, or any theater production for that matter, because they do impart great values to your children. Expose the young to the performing arts to also build confidence and self-discipline. We truly enjoyed the musical and I assure you that the people behind the production obviously worked hard for this and deserve the recognition they are, and will be, getting. The musical already garnered 3 Aliw Awards including Best Director for Freddie Santos, Best Actor for Leo Tavarro Valdez, and Best Musical Production for 2012. The King And I also received 6 other nominations including Best Actor in a Musical for Bo Cerrudo; Best Actress in a Musical for both Monique Wilson and Shiela Valderamma; Best Child Performer for Anton Posadas; Best Actress in a Featured Role for both Gina Respall and Tanya Manalang. Hence, it was just a right decision to extend the show until May, 2013. Ticket Prices are: VIP: P2,400/ Premier: P2,000/De Luxe: P1,600 and Balcony: P1,000. *Disclosure: Mommy Practicality received show tickets for free in exchange for an honest review. The views and opinions are purely my own and in no way was influenced by the receipt of tickets. What do you like most about the blog Mommy Practicality and why? What topics would you like Mommy Practicality to feature on the blog? - ONE (1) winner of a pair of tickets via Rafflecopter. * Who knows I might give more, like I've always been doing in my past 2 giveaways, surprise surprise! Tickets should be picked up at Resorts World Manila. Ayala Avenue, Makati City. Giveaway Duration: March 8 to 22, 2013. Announcement of winners will be on March 25, 2013. Show schedule shall be determined by Resorts World Manila and will be disclosed to the winners only. Should winners not be available on the schedule of the show, tickets will be forfeited and shall be given away to another contest participant. It must be really interesting for your son to watch a musical. I haven't brought my kids to any yet this year. I like the 10th terms and conditions. Hahaha! I would love to join but is the place accessible? You're very lucky sis! I've been wanting to see the show. Wala lang time nun umuwi kami sa Pinas! I will try to join. This is a must see play. No age limit naman sis? I mean my son is just two e.
nice prize.. I so much want to experience watching show like this one, I hope I can in the near future..
Lucky! I've always want to experience watching a show like this... indeed you had a great time and it's amazing! Wanna join the giveaway, haha but it's only for MM residents. Better luck next time! I really love that post. Giving us mothers a light re summer workshops. And I really,really love your giveaway. Ive never watch a live play. Thank you for the chance. I like most about Mommy Practicality blog is the Practical Fashion =) I really love fashion. I love your OOTD's at the same time. Your post is very helpful. I just want to see makeup reviews on your blog. How lucky you are!!! I also want to see the show, though, have not taken extra effort to do so. 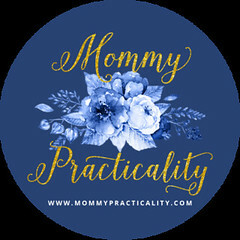 What do you like most about Mommy Practicality's blog and why? Ans: Money Matters. I love this section because it gives information and perspective on how to spend money wisely, it also features places of great value shopping, deals and many others. I like Mommy Practicality because whenever I read her posts, I find real quality content. There may be some new tips that I learn or perhaps an important happening in society which concerns moms like me. I'm actually not very fond of reading newspapers so Mommy Practicality gives me some idea of what's happening. Like also the information on good places to visit especially for my kids. I would love to see reviews on different beach/pool resorts to enjoy this summer with friends and family or any summer activities. 1. What do I like most? I like the detailed descriptions of practical tips in the blog posts. Very helpful even for non-moms like me. 2. What topics I want to see? Travel/staycation tips, gadget reviews, more photos. I'm just blessed dear @twitter-559726086:disqus to be given these tickets for free! Hi @twitter-385264532:disqus thank you. When will you be coming back? aaawww.. sayang naman @superkane:disqus .. :) Next time! Thanks @facebook-1839215983:disqus for your feedback! Good luck! Hi @google-9463e44d6f1bdb3a28b6e88ed72f9d23:disqus if you've browsed other posts, I've Summer Workshops/Activities for kids. :) Good luck! Thanks @facebook-1067499459:disqus I should be updating that more often then. Thanks for the feedback! i like it that in every way the blogs you have cater all aspects(range of ages, what you like&dislike)..you get to talk about your fam and what you like about an event, a place you went to, a restaurant you've eaten at..and everything! -I like your post about practical fashion. I really really like it because it's really helpful to me about what or what not to wear. -What topics would you like Mommy Practicality to feature on the blog? The topics I would you like Mommy Practicality to feature on her blog would be money saving tips, unique baon for kids, and blogs you follow as well. 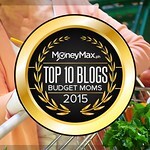 What do you like most about Mommy Practicality's blog and why? - Topics that interests me most was the Money Matter, I do hope to see investment tips in the future and how to influence children about money literacy. What topics would you like Mommy Practicality to feature on the blog? - best food joint and beach/resort accommodation that are worth trying/seeing, more features about theatrical plays and home improvements as well. Thanks for the chance of scoring free show tickets. I've wanted to see this! I like to read your blog posts all about kids especially your two boys; mommy time and anything that pertains to money. These are inspiring to read and I get to learn many things as well. What I want to see more? All about family travel - destinations, practical tips and ideas. A mom like me will surely learn more, given info coming from a mom like you. I've heard that this movie is great on the big screen. Gotta love Jodie Foster for that. But unfortunately I haven't seen the movie. hahaha! Thank you so much for the chance. Im joining for my siblings.This would be a great gift for them. Nice give away. I'll go back and jooin this contest. The set looks magnificent. Looks like they really invested on it. Good luck to the participants! What i like most - your writing style, nakaktuwa at madaling basahin. Too bad I'm not in phillipines so can't watch this show. Each post is very informative. All that we need to know you make sure every detail is there. Good luck! i do like your blog post on where me and my kids can go this summer,your practical tips . I'd like more practical tips on party planning. As a mom, I want parties to be fun yet practical. i remember the very first time i watched the movie The King and I in school. I thought it was boring (I was in 2nd year high school), but then the story touched my young heart. its a pity that i can't watch it since i am here in Zamboanga, an airplane ride away. I want to watch that.. :-( sad because I live in the South.. I like the story of the King and I. I watched the movie version with Jodie Foster playing a lead role. It would be nice to watch a theatre version. I've seen the same one. I haven't seen it on a play, however. I wonder which one is better. This brings back memories. I used to really love the King and I, most especially the animated movie version. My daughter and I watched it a couple of months ago. It wasn't as much of a hit with her as the sound of music. The children were great in the play though. I would have loved to watch this if only i lie in manila. The RW theater is impressive. I was able to watch sound of music there. Just to let you know I joined! Gusto ko manalo nito haha! Btw sis, I like your outfit ang fab! I certainly want to watch this..
i love Mommy Practicality's blog bec. lagi syang may giveaway at mga informative blog. I love Mommy Practicality because it's very informative and indeed share a lot of practical tips. I hope you can feature more home shopping/online shopping experiences on your blog. Answer: I like the giveaway and a story that give a new idea,opinion and suggestion about Mommy practicality's blog because it helps me to improve additional mind ideas. 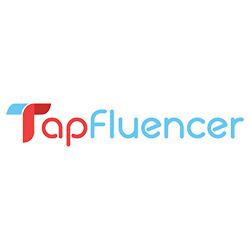 Answer: I would like the topics about Mommy practicality blog is about the performers because it is the way to develop a talent of every filipino. Take a deep breath, remind yourself of your career successes .